VA Loan info from my favorite Loan Geek. VA Loan Info From My Favorite Loan Geek, Sally Doherty. You don’t have to have a PhD to know that a VA home loan is the best loan out there. But you do have to have a DD-214 to get one. What does that mean? 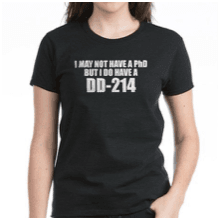 A DD-214 is the Certificate of Release or Discharge from Active Duty issued by the U.S. Department of Defense upon completion of service in the military. One of the great benefits for Veterans is eligibility to obtain a VA Home Loan for their principal residence. What sets the VA loan apart from the rest? 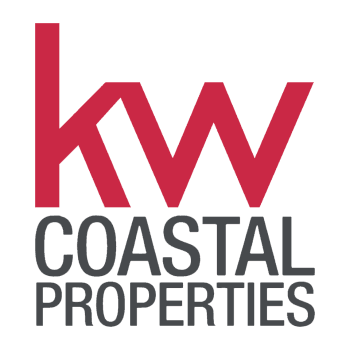 100% financing up to the VA loan limit which is determined by county. Compare this to 3% - 5% minimum down for conventional loans and 3.5% for FHA loans. Even if the purchase price is above the county loan limit, the down payment is only a percentage of the difference, which is still a real deal. Conventional loans require monthly mortgage insurance when the down payment is less than 20%. And FHA loans require both an upfront mortgage insurance premium and a monthly premium for the life of the loan. Although VA Loans have a one-time VA funding fee that is financed into the loan and there is no MI – ever! Trust me, this baby went out with the bath water after the Great Recession arrived and the Dodd-Frank Act was signed into law to protect consumers. Since then, underwriting a loan has become pretty much black and white, with very little grey in which to use judgement. Not VA loans, though! The underwriters are instructed to assess and evaluate when reviewing files. If there have been issues with credit or job stability, they want to hear the background story. VA underwriters are still allowed to use their brains. Of course, borrowers need to show ability to repay their loan, but there is more flexibility allowed within the VA loan guidelines. NOT LIMITED TO VETERANS OF THE ARMED FORCES! You read that right! Also eligible are National Guard and Reserve members and active duty service personnel, under certain circumstances. And did you know that surviving spouses (who have not remarried and whose spouse died from service-related causes) are also eligible? Without going into the ins and outs of how interest rates are set (bond market conditions, loan level pricing, T-Bill pricing, blah blah blah), the end result is usually a better interest rate for a VA borrower. But I don’t have the space to tell you all about it and this is not the definitive guide to VA loans. But, in short, when I put a VA loan side-by-side with an FHA or Conventional loan, the VA loan wins hands-down, at least 99.9999999% of the time. As a loan geek, I love VA loans. And as an American citizen, I love to serve those who have served my country. It always gives me a warm feeling to know that Veterans and active duty service personnel are getting a tangible benefit. If you are a Veteran or know a veteran, I am available for a conversation today! This article was written by Sally Doherty. Sally's contact info is below.